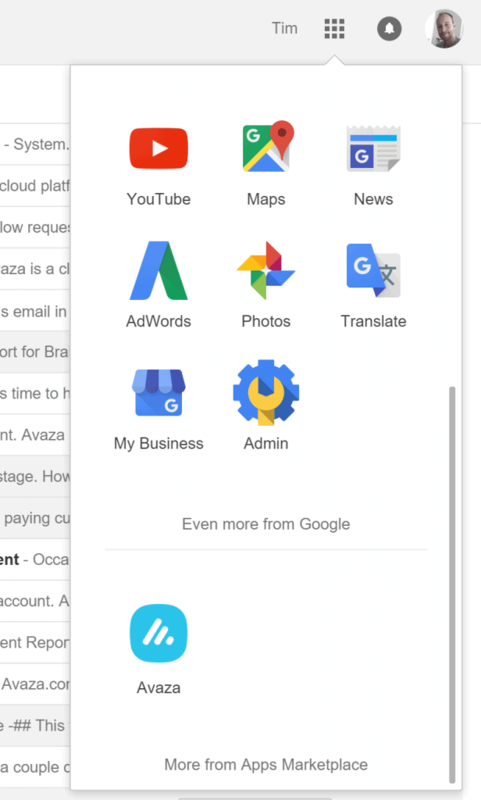 Avaza is listed in the Google Apps for Work marketplace, and supports a variety of integrations with Google products. Avaza on the Google Apps Marketplace. If you already have an Avaza account, we can link your Google Apps domain. Please contact Avaza support.